Early video of Mexico is rare, but always interesting to watch. This post features early examples of home movie footage, some of which was taken more than eighty years ago. 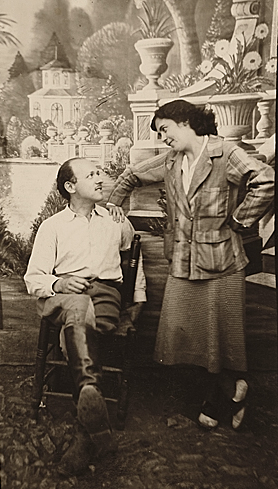 The Stefan Hirsch and Elsa Rogo papers, in the Archives of American Art at the Smithsonian Institution, include nine short reels of film shot in Mexico between 1935 and 1941. Stefan Hirsch and Elsa Rogo, ca. 1930 / unidentified photographer. Archives of American Art, Smithsonian Institution. Stefan Hirsch (1899-1964) and his wife Elsa Rogo (1901-1996) were artists then living in Taxco, Guerrero. The movies (no sound, and most in black and white) were clearly shot by amateur photographers, rather than professionals, but still offer a revealing glimpse into some aspects of life in Mexico in the 1930s. The nine short reels of film show scenes from Taxco, the mid-sized former silver mining town where Hirsch and Rogo lived, and from Tehuantepec, the large market town in Oaxaca, on the southern side of the Isthmus of Tehuantepec. Rogo developed close connections with Taxco; she started an art school there for local children in 1931. In 1937, she published a book entitled Walls and Volcanos: The Creative Impulse of the Mexican People. The films show festival procession, dancing, markets, and people going about their daily lives. The last two of the nine films (beginning at 26:18) are very early examples of color home movies. The artistic vocation of both filmmakers is evident in the composition and subject matter.